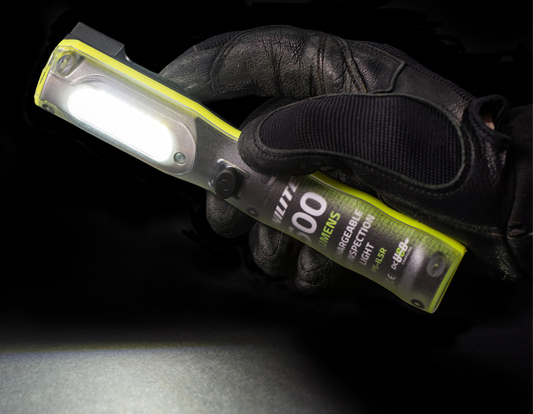 Unilite Introduces its new inspection light, the PS-IL10R. The PS-IL10R inspection light is immediately noticeable for two reasons. Firstly, the ergonomic design, and secondly, its brightness. One of the standout features of the PS-IL10R is its construction, with the blend of strengthened polycarbonate and aluminum providing a strong and durable structure. 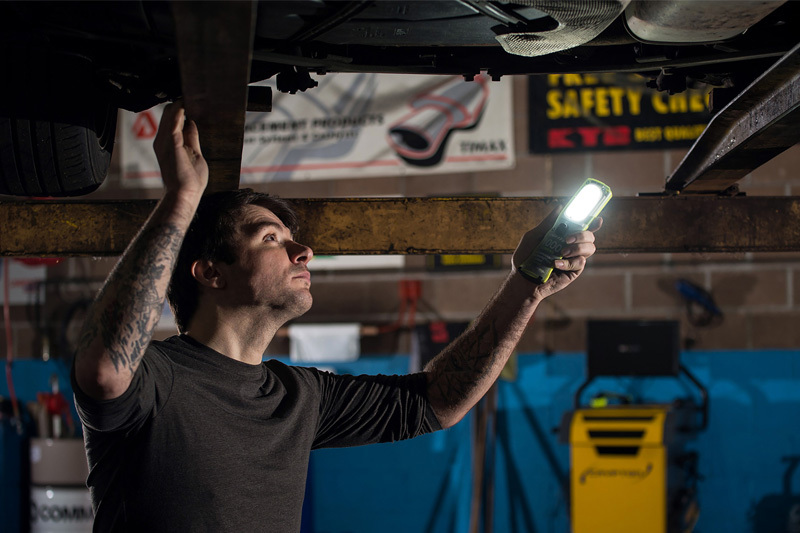 Unilite encourages technicians to use the PS-IL10R’s strong rear magnet, which secures the light to many different positions, whether it is under the bonnet, or anywhere magnetic. Its body has been designed to be used in a variety of positions; it can be placed stood up, on its back, or on either side, depending on where it is being used. Attached to the magnet is a 360° hanging hook, which allows it to be hung up in multiple positions. 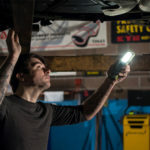 The light itself contains a 1,000 lumen output from its Samsung SMD LEDs. With 27 LEDs in total, the PS-IL10R provides an evenly dispersed light, which can help technicians to see in dark or dimly lit areas. Just as it can be placed in many positions, it is also flexible when in operation. This is because of the torch in its head, which acts as a spot beam. Ideally, this can allow the light to be used for looking at brakes through the wheels, or any other tight gap. Instead of using regular batteries to function, the PS-IL10R is powered by a 5000 mAh Li-ion rechargeable battery. This can be charged via a USB cable; the light can be charged via a computer, smartphone USB plug or any other USB port. If you’re looking for a portable inspection light that will assist you in your day to day duties, the PS-IL10R is a suitable tool. Strong, versatile and bright, the light enables technicians to carry out their work efficiently.